Today, suddently i couldnt log on to our development machine/box via Xwindows/GUI. The system could not write to the disk because there isnt any space. So i connect through SSH (u could use Ctrl+Alt+f1, to log in locally via console) and i simply remove all the installed packet cache at "APT cache directory (/var/cache/apt)". So i have some space to log in again, but its not the real problem :), the problem is our Ubuntu box running under the VMware (we are using virtual machine to install multiple OS) with 4.0GB disk space (virtual disk) when we create it, now we`re facing a big problem because we actually need more n more space to put so many tools/software. 4.Then reboot your machine, if everthings went ok. You wil have new /home directory under "new partition" with more free space. 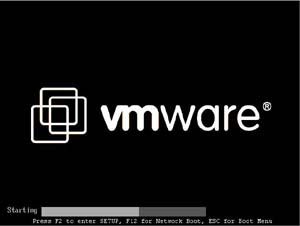 I've installed VMWare to use a 2nd HD 80GB in size to use 70GB for the installation of SBS 2003 Standard. Within the OS disk manager, shows only 19GB of 80GB being used and over 50GB of unallocated space. However, VMWare is consuming the entire volume showing that only 74MB is available. As I test a recovery process, I know that I am going to run into problems reloading the VM SBS2003 after the recovery process. Does anyone know how I can make the available 50GB+ usable in VM for me to continue my testing? Any assistance is greatly appreciated. Thanks and Merry Christmas.